British Columbia is home to evergreen forests, gigantic mountains, lush valleys and scenic coastlines. British Columbia is a rocky and hilly region; there are numerous mountain ranges in this region. 75% of British Columbia is mountainous, 60% is forests and only about 5% is arable. British Columbia is bound by the Pacific Ocean on the west, by the U.S. state of Alaska on the northwest, by the Northwestern territories and Yukon in the north, by Alberta in the east, and by the U.S. states of Washington, Montana, and Idaho in the South. Read more for interesting travel information on Victoria British Columbia, Vancouver British Columbia and Whistler British Columbia. British Columbia is influenced both by the Pacific Ocean and the Arctic, thus travelers have to be prepared for sudden weather alterations. December to March is the best season to visit British Columbia for skiing and other winter sports while June to September is perfect for all summer activities. It is warm in the Southern region and cold in the Northern region of British Columbia. Cariboo ranches: Wilds and 5,000 square kilometers of rangeland of the Cariboo County can be explored on horseback. Guest ranches are available for tourists and visitors. British Columbia hot springs: Naturally occurring hot springs are a great attraction for tourists and visitors. Famous hot springs within the British Columbia Rockies include Albert, Canyon, Fairmont, Nakusup, Ainsworth, Halcyon, and Radium. British Columbia fresh fruits: The Thompson Okanagan valley produces some of the best fruit varieties of British Columbia. You can sample these fruits at roadside stands; peaches, apricots, apples, pears and cherries. Fruit festivals such as the famous Penticton's Peach festival is held during early august every year and Okanagan fall wine festival is held during mid-October. Heli hikes: High mountain lodges offer a relaxed holiday atmosphere; these lodges are accessible by helicopters only. Mountain guides can help visitors with basic and advanced mountain hikes. Evenings are more relaxed with European massages and European delicacies. Provincial and National Parks: The 450 National and provincial parks of British Columbia include 77,000 square kilometers of Rocky Mountains. The magnificent Yoho National Park has 28 snow-covered peaks and a rock-solid natural rock bridge. This bridge was carved by the Kicking Horse River. 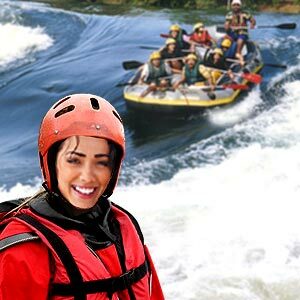 Other famous parks include Kokanee glacier Provincial Park, Kootenay national park, Top of the world Provincial Park (famous for crystal clear lake fishing), Valhalla Provincial Park, Mount Revelstoke national park, Glacier national park and Wasa Provincial Park. Gold country: The Alaska Highway also known as the Cariboo highway 97 unwinds through the old Cariboo wagon road of the 1860's to the gold fields. Supposed to be one of North America's breathtaking routes, the road starts from Prince George to Dawson Creek and runs through the wilderness of Northern British Columbia. The 1,000 km stretch passes into Yukon and into Alaska, spot activities include camping, horseback riding, canoeing, fishing, etc. Kettle Valley railway: The famous dramatic railway stretch in British Columbia is the stretch through Kettle Valley. Currently it is used as mountain-biking and hiking trails. The stretch takes you through the magnificent trestle bridge lying over deep canyons and tunnels through the mountainside, the stopover stations being named after characters from Shakespeare's plays. Skiing: Some of the world's best powder skiing can be experienced on the mountains of British Columbia. The ski areas have the best of resorts and offer a scenic and striking alpine charisma. Heli skiing is available at the Okanagan region. Whale watching: Whale watchers get to watch the orca and killer whales on the shores of British Columbia. Migrating whales like the Pacific gray pass the west coast of Vancouver islands in March and April. The best season to watch whales is between May and September. Wild ocean ferries: Ferries transport passengers and visitors from Port Hardy on Vancouver Island to Bella Coola. The ferry halts for a while at Klemtu, McLoughlin Bay (Bella Bella), Ocean falls and shearwater. Whales, seals and dolphins can be seen during the ferry trip. Museum of anthropology: The museum of anthropology in the University of British Columbia exhibits the largest collection of Indian relics. The display includes collection from Haida, Tsimshian, Kwakiutl and other native population. The totem poles and wood carvings using bird and animal motifs are remarkable. UBC botanical garden and centre for plant research: During the months of April and May most of the plants flower and the entire gardens look spectacular. A nominal entry fee is charged for all people, this garden is a learning haven for people involved the field of plant research and studies. Chan centre for performing arts: It is considered one of North America's leading performing arts venue. The remarkable design and the stellar acoustics in this centre along with its multi-purpose features have made this centre popular with artists, critics and patrons. Pacific Spirit Regional Park: The 763 Hectares Park includes forested trails for cycling, walking, hiking and horseback riding. The park is open during sunlight hours. Victoria has a pleasant and mild climate when compared to the other provinces of Canada. The plants in the gardens bloom all through the year. Victoria is located at the southeastern tip of Vancouver Island and has a sunny and pleasant climate. Victoria is the capital of British Columbia and is the 15th largest metropolitan region in Canada. It is both a historic capital city and a trove of scenic natural beauty. Wonderful museums, galleries, outdoor adventures and splendid beaches offer you a break from the busy world. Hiking, walking, cycling, canoeing, diving, fishing, and boating are popular activities at Victoria. 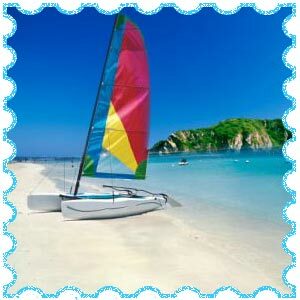 Educational vacations and tours are also ways to explore this beautiful place. Floral tour: The Butchart gardens in Victoria are 50-acres of floral miracle. This has been in existence since 1904 with over a million plant varieties, 700 varieties of these plants flower between March and October. The collection includes roses, tulips, daffodils, azaleas, and many more varieties in the Japanese, Sunken and Italian gardens. Craigdarroch castle: This mansion has 39 rooms, each of them tastefully done. The castle is an embodiment of talented art. Carr house: This is the house of the famous painter Emily Carr, his possessions are displayed here. Point Ellice house: This is an authentic Victorian house; the gardens of this house are also fascinating. Vancouver is bounded by water on three sides and is nuzzled along the coastal mountain range. Vancouver is a place where people can go sailing and skiing on the same day. Vancouver is the largest city of Canada and is the third largest metropolitan area. Vancouver is located in southwest corner of the British Columbia mainland called the Lower mainland and is the highest populated city of British Columbia. Vancouver is the host for the 2010 Olympic and Paralympic winter games. Vancouver view: In 15 minutes from downtown, you can reach the Grouse mountain cable car taking you to the peak of Vancouver. You can watch the city and the adjacent mountains from this peak. Granville Island: Very popular attraction of Vancouver, this place was formerly an industrial house and is now home to marine activities, world-famous markets, restaurants artists' studio etc. Capilano suspension bridge: Crossing the Capilano River over a height of 230 feet is exciting and adventurous. The holiday resort destination of Whistler snuggles beneath the Whistler and the Blackcomb mountains in the Whistler valley, north of Vancouver, British Columbia. Whistler British Columbia has been ranked as the number one resort in North America. Whistler will be hosting the 2010 winter Olympics games along with Vancouver. 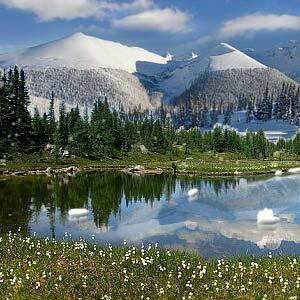 Whistler is famous for its two stunning mountains, classic skiing conditions, hiking trails, spas, four championship golf courses and its world best and renowned mountain bike parks. Whistler has a beautiful collection of small lakes that mirror the outlines of the high mountains. No other lake can be compared to these lakes for their scenic beauty. The unique village ambience of Whistler combined with the wonderful topography and striking snowfalls provide the two million visitors a great holiday. Cool and revitalizing waters, magnificent and royal mountains, green and flourishing orchards – Kelowna is a beautiful vacation spot located in the Okanagan valley of British Columbia. It is located on the eastside of Lake Okanagan, half-way through Penticton in the south and Vernon in the north. Kelowna has beautiful lakes, parks and mountains on one side and heritage buildings, ethnic shops, art galleries, museums, modern architecture and great restaurants on the other. Famous museums include British Columbia orchard industry museum located at the historic Laurel packinghouse and Kelowna museum that depicts the history of Kelowna. Famous parks in Kelowna are the Guisachan heritage Park and the Benvoulin heritage park. Kelowna art gallery and Kelowna community theatres are other places worth visiting. 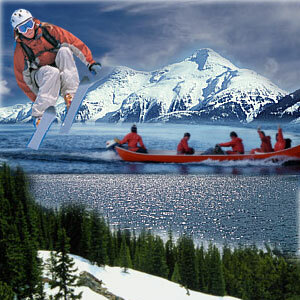 Popular activities at Kelowna include boating, skiing, hiking, boarding and snowmobiling. Golfing can be fun here as Kelowna has the longest dry period in the whole of Canada. First Published Date: 28 Mar 2008 Last modified Date: April 25 2019 This page may have been updated recently as new information is available or the content may have been edited for better readability.